How often do you find yourself in the middle of an argument, trying to reconcile the two sides and keep the peace? A couple could be going through a sour divorce or there could be family problems but how do you deal with it? 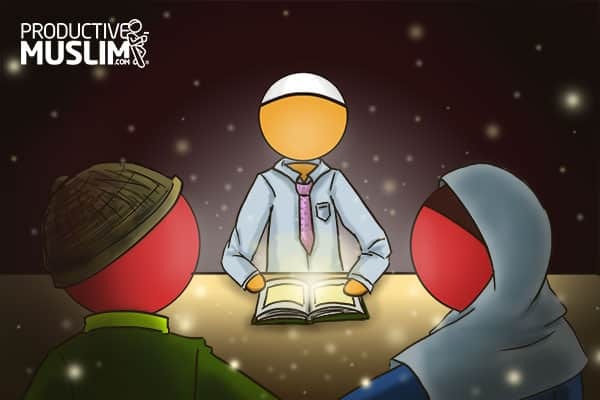 How do you act as a mediator to keep the peace, and keep to the teachings on the Qu’ran and Sunnah? How can we reach a fair resolution for everyone? As the Director General of the Islamic Cultural Centre in London, I have been mediating between disputes for years and have come up with some essential tips, on how to reach the best solution. Even if you are not a professional in this position, it is important to know how to resolve disputes that you may witness. Mediation is a process where you try to reach a resolution between two disputing parties. Mediating is a big responsibility, as the outcomes can be extreme. Your efforts and input have the potential to prevent the severing of family ties, or they can make the situation much worse. This is why a mediator needs to work justly and for the sake of Allah . It is not always a burden that someone wants to have, but often bystanders will get involved in trying to solve an issue, not realizing the gravity of their actions, or underestimating the potential that they have, to remedy a problem. So here are my tips on how to be the best mediator in any situation. Mediation means that you are trying to build links between two sides. Every party has their own side to the story, and you cannot rely on only one version, because people will only ever show you one side of the truth. Even if the person is someone you are close to, you must remain unbiased. It is very easy to hear one account of a story and immediately be convinced and pass judgement, but then new things come to light and you realize how quick you were to pass judgement. No matter how bad one side of a story seems, wait until you have all the information. Avoid anger and emotional judgement, but most of all, avoid subjective judgement based on what you think is right or wrong. Aim to pass judgement that is pleasing to Allah and in accordance with sharia’. An example of this is with families, especially with parents, sometimes severe arguments do happen and an easy solution to just say “Well it is clear that you don’t get along, just avoid talking to each other and you should be fine.” But this goes against the teaching of Qur’an and Sunnah. It is easy to let our emotions take control of our judgement, especially when we may sympathize with someone, or maybe we may find the actions of someone abhorrent and want to punish them, but this is not what Islam teaches us. The word used here in this verse is ihsan, which is even more than justice. This means going above and beyond; It means the very best of conduct that you can display, and this should be reminded to people in disputes also. Ihsan may sometimes require you make an extra effort to do what isn’t your duty to keep the peace. For example, where there is money in involved, justice says that you take what belongs to you, ihsan here can be that perhaps it is better to give up something from your right to keep the other person happy. Within disputes, people will be suffering internally, they will be full of a lot of hurt and pain, but forgiveness is not about keeping these feelings bottled up. Do not let people leave anything unspoken inside their hearts. Sometimes there are victims who have suffered abuse, and forgiveness will be incredibly difficult, but let them know that their reward is with Allah . The pain that and struggles that they have been through, Allah will recompense them in a way that they could never imagine. Personally, whether it is divorce or a problem with money or family, I always ask each person to keep the best memories of each other, and forget the negative ones, and to try to forget the dark side of the person. This is not easy at all. This is in fact very difficult especially in cases where there has been verbal, physical, or emotional abuse, but as the mediator it is your job to help people come to peace with what has happened in the past. Minimize the casualties of these disputes especially when there are children, as they will be innocent victims. They will be bystanders to vicious disputes that they will not forget, which is why as a mediator, you need to constantly be guiding to the Islamic principle of forgiveness. When you mediate, your goal is to ensure that problems of today will not destroy tomorrow, and the way to do this is through forgiveness. This does not mean forgetting what has been done abuse there are things that people will never forget, but they need to make peace with themselves internally. As a mediator, people will tell you very personal problems and very personal secrets, and you must keep these to yourself, as this is something you have been entrusted with. You must also encourage the people involved in the dispute to do the same. How easy is it for a situation to become worse, when one person tells another all the problems and personal details, and then the other person being spoken about finds out and gets angry? Family problems should not just be kept within the family; they should be kept within only those who are involved. Relationships and reputations are at stake here. If there are children involved, think of the potential trauma that this could cause for them. Far too often, I have seen women be unjustly oppressed because they do not know their rights and what they are entitled to. They do not know their rights in marriage, in divorce, or with their children, and this makes them vulnerable to be exploited. I ask every woman, before she makes any decision, that she finds out exactly what she is entitled to, and to seek knowledge regarding marriage and relationships in Islam. Allah has bestowed upon women honor and dignity, and it is vital that these are not taken away from her. Mediation is not easy. Solutions will take time, and in some situations, people will reconcile by themselves, but when you find yourself caught between a dispute, take it as an opportunity to be just. Ensure that you are working towards an outcome that please Allah and I pray that Allah softens all our hearts to forgive, and helps us to overcome any difficult situation that we may be going through. If you have any other tips to offer, comment below!